According to the latest reports, Leeds United scouts watched Argentine forward Ezequiel Ponce in action recently. The forward is currently on loan with Greek outfit AEK Athens from Italian giants AS Roma. What is interesting is that the forward had played under Marcelo Bielsa when he was the manager of Lille and Ponce was on loan spell with the French outfit. In fact, the player started his footballing career with Newell Old Boys in Argentina a club where Bielsa started his managerial stint. Ponce was one of the hottest properties in football in 2015 and Roma signed him and brought him to Europe. However, he is yet to establish himself, but the fact remains that he is still 21 and the Argentine can still improve. A striker is one of the three positions where Bielsa can look to add some reinforcements according to some reports and Ponce definitely fits the bill at the moment. The young forward has found good form in the Greek League as he has scored five times in 8 games this season. United suffered a bit of slump in form in the last month when Kemar Roofe went out injured, and Patrick Bamford was also ruled out due to a long-term injury. In their absence, young Tyler Roberts did a decent job in filling in, but there were games when United would have hoped they had a more clinical forward in their ranks. Ponce was dubbed as the new Batistuta as he has a similar playing style to the former Argentine legend. However, it will be interesting to see whether the striker would be able to adapt to English football. The striker is yet to make an appearance for AS Roma and it seems like the big move came slightly early for him as he doesn’t seem ready to fight for a place for a top club. Roma are looking to offload him as there is an option in the Greek side’s deal where they have the option to buy him after the loan spell ends next summer. Therefore it would be interesting to see how United could land this player when AEK Athens seems to hold all the cards on him. The Bielsa factor can be the real difference maker here, but we feel the striker might still struggle to get going in the Championship. United should look to bring in someone with more Championship experience if they want to boost their playoff chances straight away. With Ponce, we believe the club will need to be patient with him before he starts producing the goods for the Whites. Therefore if the club is looking for someone to make an instant impact in January, then signing the Argentine forward doesn’t seem like a good idea. 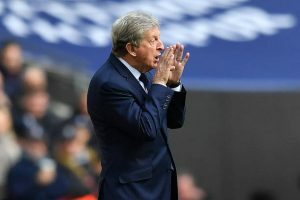 Roy Hodgson Watches Swedish International On Action: Just What Crystal Palace Needs?